Like many Asian cultures, Filipino women are very conservative in nature when it comes to matters relating to dating and marriage. Filipino women are considered very beautiful if they maintain the Maria Clara image, which means a woman is most attractive if she is demure, caring, motherly, and traditional all at once. She is never to make her true feelings towards her suitor known right away until she is secure in his affections for her. When it comes to dating, the man is expected to pursue the Filipina, and never the other way around. While traditional dating practices such as the harana are out of style nowadays, the mentality that the man is expected to take the lead on a date with a Filipina is not. Traditionally, a Filipina does not go out on a date with someone who simply asks for her number out on the street or in public, and she does not enter a relationship with someone that she doesn’t know for very long. A Filipina woman is to be courted with the best efforts that a suitor can put forward. During the dating part of the relationship, a Filipina woman is expected to play “hard to get”, and must not show her suitor that she is interested, no matter how she feels about him. Demure and reserved is the mark of a true Filipina woman, when it comes to her relationships. She does not flirt with her suitor; she must tease his affections out of him until she is ready to enter a relationship with him. Public displays of affection are not tolerated in romantic relationships. While nowadays this style of courtship is no longer enforced as strongly as it was back then, there is still the expectation that Filipina women must be reserved in how she handles her romantic relationships. While physical displays of affection such as kissing and hugging are not approved of, simple gestures like hand-holding and a light peck on the cheek are acceptable. Chaperones are no longer needed on dates with a Filipina woman, but dates are typically held in public locations, such as restaurants, cafes, or a walk on the park. When it comes to modern marriage in the Philippines, not much has changed in how they view marriage compared to the past. Because of their strong religious beliefs, marriage is considered a sacred bond that must not be broken for anything trivial. 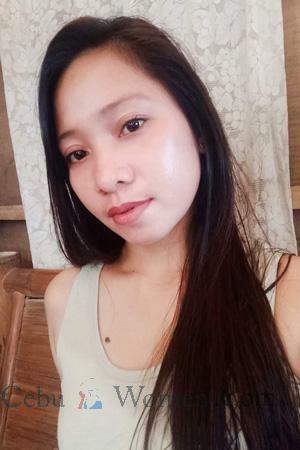 A perfect combination of looks, brains, and personality, you will never miss out on the best that life has to offer you if you choose to date a Cebuana woman from the Philippines. Here are some reasons why you should choose to date a Cebuana woman from the Philippines and why they make the best life partners. Their beauty is incomparable. The Philippines is known for producing women of great beauty. Their physical beauty is perfected from a combination of nationalities from all over the world, from the fair skinned beauties of Spain to the petite and exotic looks of the Malay women. Cebuana women’s personalities are as diverse and beautiful as their looks. To say that a Cebuana woman is charming is an understatement. They are charming, generous, loving, understanding, and so much more. They are endlessly happy, and simply being in the same room as them is bound to make you as happy as they are. There is never a dull day in sight with a Cebuana woman by your side. They are well-educated. You will never want for intelligent conversation if you decide to spend the rest of your life with a Cebuana woman. You will find many college-educated Cebuana women with degrees that you’ve only read about. There is no fear for miscommunication between the both of you, as many Cebuana women are highly proficient in the English language. They believe in the preservation of marriage and the home. Because of their traditional natures and their loyal personalities, a Cebuana woman will fight for her marriage and her family to the very end. Unlike the divorce culture in the West, Filipino women from Cebu do not believe in ending a relationship over anything petty or something that they have not tried working on yet. And never insult her, or her family, as Cebuana women are fiercely loyal to their family, and will stop at nothing to defend them and make sure that nobody thinks badly of them. They are excellent homemakers. 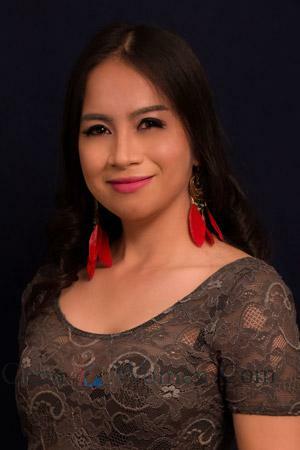 Is there no end to the talents and amazing qualities of a Cebuana woman? In addition to their intelligent minds and gorgeous looks, they are also very home-oriented. If you choose to spend the rest of your life with a Cebuana woman, you can expect you and your children to be treated like royalty. But do not expect her to hold back when it comes to important matters regarding your family. She may spoil you, but she can be strict when it matters. As mentioned before, the dating culture and traditions of the Filipinos and in Cebu are very traditional in nature. From chaperoned dates to long courting periods, the traditional method of courting a Filipina woman requires an endless pool of patience and a lot of effort. The reason behind this is that the women of Cebu are certainly worth the time and effort should you decide to pursue them. While these traditions are no longer in place nowadays, there are still some practices that keep in line with the traditional dating culture of past times. There is a “courting period” before you can be in an official relationship with her. Cebuana women are by no means easy catches. You cannot expect to simply smile at her and expect her to become yours as easy as that. You need to put in the effort to woo her if you are really serious about pursuing a relationship with her. Even if you go on two, three, or eight dates, there is still no guarantee that she is readily willing to be called your “girlfriend”. In the Philippines, the women hold all the power because ultimately, they make the final decision about where the relationship is heading. Family is always number one with her. There is a popular saying in the Philippines that goes, “If you marry her, you marry her entire family.” While this is a bit of an exaggeration, this statement holds a grain of truth. Cebuana women are loyal to their family through and through, and if you are in a serious relationship with a Cebuana woman, you will eventually meet her family. Respect her family, because if they decide that you’re not good enough for their daughter/sister/granddaughter, any chance you have at moving on with your relationship. She values the opinion of her family, so take proper care to show them that you are worthy of their trust and respect. Religion is very important to her. Filipinos are very religious in nature, and they are raised as such. Some traditional Filipino families will not accept you if you are not Catholic. To the modern Cebuana, religion is not really an important factor to consider when entering a relationship, but her family might not be as lenient. If you’re trying to get into her family’s good graces, attend Sunday mass with her and her family. There are dozens of reasons why dating a Cebu woman could be the best decision you’ll make in your life. From her looks to her personality, Cebu women are the full package. While getting into a relationship with a Cebuana can be difficult, if you succeed, it will certainly be worth the effort. To get you started on your romance with the Cebuana woman of your dreams, contact us today!